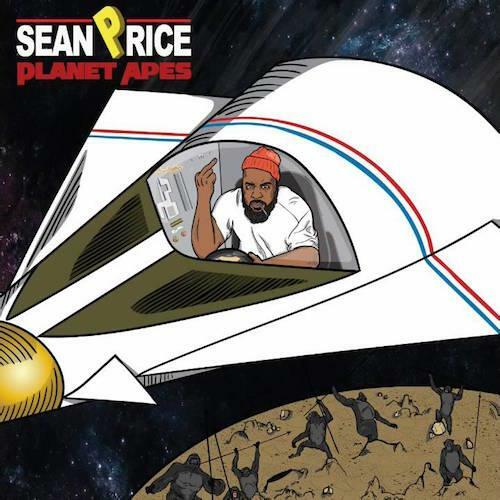 The first offering from Sean Price's posthumous mixtape "Songs In The Key Of Price." It is sad to say that this month will see the release of more than one posthumous hip hop project. We got Chinx's Welcome to JFK, and now, after the unexpected passing of Brooklyn stalwart Sean Price at the age of 43, we will be getting his final mixtape Songs In The Key Of Price on August 21. Today, Price's label Duck Down shared an offering from the forthcoming tape called "Planet Apes." Over a Madvillain-esque PF Cuttin beat, Sean Price reminds us what made him such a widely respected MC. Pre-order Songs In The Key Of Price here and donate to Price's family here.